(NOTE: you can link to my past reviews of all of these shows at the links provided below). It's that time of year again - that between-seasons time on TV. Most of our favorite spring shows have wrapped up for the season (or will soon): The Americans, Blindspot, The Catch, Quantico, and Colony. I have also recently finished up several of the shows I watch on my own during lunchtime: American Crime, No Tomorrow, and Chewing Gum. My husband and I are filling our evenings catching up on our favorite streaming shows: Bosch, Catastrophe, and Lilyhammer. And I suspect we will be watching a lot of movies through the rest of May! Here's a sneak peek at some of our summertime favorites, with the dates they come back, plus some new shows we want to check out...and a couple of sad cancellations! NBC has cancelled Aquarius, the crime show about Charles Manson in 1969, starring David Duchovny as an LA detective. It won't be returning for season 3. If you missed this show, you can watch season 1 for free on Netflix or catch both seasons on Amazon Prime for $1.99 an episode or $21.99 a season. It was excellent. You can see my review here. It looks like BrainDead won't be coming back, either, but it's one season last summer was original and hilarious and very much worth checking out. It's free on Amazon Prime (at the link), and you can read my review here. I enjoyed Feed the Beast last summer, but AMC cancelled this drama starring David Schwimmer after just one season. And Fox seems to be still on the fence about Wayward Pines, a show that my husband, son, and I all enjoy. No word yet on whether there will be a season 3. June - The Last Ship, season 4 - I couldn't find a specific date, but this excellent post-apocalyptic action drama is supposed to return in June. June 4 - The Next Food Network Star - my guilty pleasure when I get an hour to myself at lunchtime! June 4 - Fear the Walking Dead - I'm not so much into zombies, but my husband & son will be tuning in again. June 9 - Orange is the New Black, season 5 - We can't wait!! My husband and I LOVE this amazing prison drama that is one of the highest-quality TV shows ever. Season 4 ended with a giant cliff-hanger, so we are on pins and needles waiting to see what happens next. The best news? Netflix has renewed the show for a total of 7 seasons! June 10 - Orphan Black, season 5 - BEST. SHOW. EVER. Seriously, this show is amazing in every way - my husband, son, and I love it. If you haven't seen it yet, you are missing out! Check out my review at the link and catch up (details at the end of my review on where to find it). This will be the final season. June 28 - Younger, season 3 - one of those shows I like to watch by myself (in my male-centric home!) when I get some time alone. It just gets better & better. 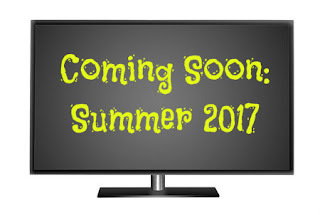 Two past summer shows have moved to fall 2017 premier dates for their new seasons: Mr. Robot (10/1/17) and Stranger Things (10/31/17 - perfect) - can't wait! The Mist is based on a Stephen King short story and will air on Spike starting June 26. The trailer (below) looks like it might be a bit violent for me, but I am willing to give it a try. It reminds me a bit of Under the Dome, another TV show based on a Stephen King novel, and it looks like something my husband will definitely like. Gypsy is starting on June 30 on Netflix. It's a thriller series about a psychologist who gets too close to her patients - looks and sounds very creepy! Salvation begins on CBS on July 10. It's a sci fi thriller about an asteroid on a collision course with Earth in six months. Looks like a good one! The Sinner will premier on USA Network on August 2. It's based on a best-selling thriller novel about a young mother who commits horrific acts of violence and has no idea why, starring Jessica Biel. Another one that looks violent but also compelling. Whew, that's quite a line-up for summer! 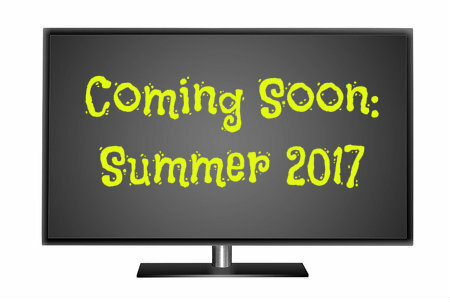 What new or returning shows are you looking forward to this summer? And please let me know if you have any recommendations for shows we can stream (on either Netflix or Amazon Prime) during May, while we wait for all these great shows to start! I totally understand, Helen! We are the same with Big Bang Theory - we used to watch every episode & then we got distracted, though I still tune in once in a while - I've missed so much! There is just too much great TV available now - a good problem to have!